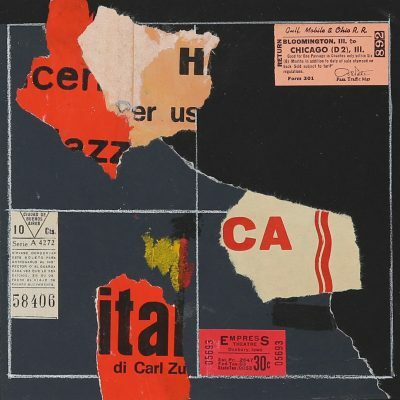 An exhibition of collages, encaustics and silkscreen prints by Richard Meier opens 28 February 2018 at the S|2 Gallery at Sotheby’s, 1334 York Avenue, New York City, New York 10021. Entry by invite only. Richard Meier & Partners completes its first international residential tower and its first project in Israel. The new Rothschild Tower is inspired by the scale and Bauhaus design principles of its neighbors in Tel Aviv’s White City. This New York City architecture practice celebrates the completion of its first architectural project in South America. The new office building is a seven-story, sustainable structure incorporating generous natural light. Richard Meier & Partners is pleased to announce the completion of the Seamarq Hotel. 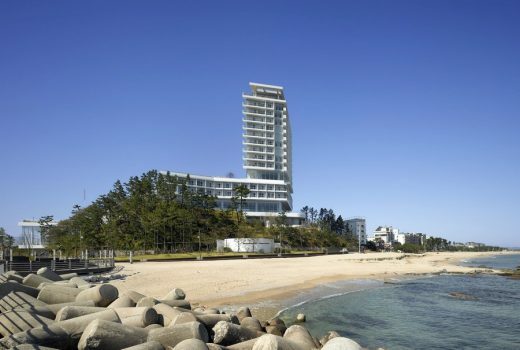 The new boutique hotel is composed of two main buildings and supporting facilities nestled into a hill of dense pine trees overlooking the East Sea, Gyeongpo Lake and the Taebaek mountains. This project is part of the revitalization of the region in preparation for the 2018 Winter Olympics in PyeongChang, South Korea. This new building has been designed with bright classrooms full of natural light to promote learning and it is intended to become the center of an active, 24-hour neighborhood. Teachers Village consists of two new school buildings, residential apartments and retail space in downtown Newark. Construction has started on the 150-room HH Resort Hotel and Spa designed by Richard Meier & Partners Architects. The new resort complex will be a boutique hotel composed of guestrooms, a restaurant, a wellness spa, a Banquet Hall, Amphitheater, Exhibition Hall, Beach House and various amenities. This is the fifth completed project by this architecture studio in Italy. It is a beautiful condominium next to the water and it is part of a complex comprised of the Jesolo Lido Village, completed by Richard Meier & Partners in 2007, and the Jesolo Lido Hotel. 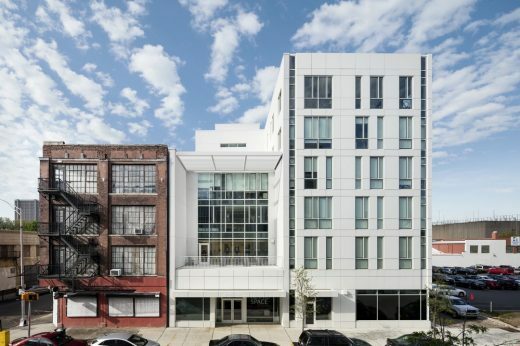 The building design was awarded the 2013 AIANY Architecture Award. Fondazione Bisazza (The Bisazza Foundation for Design and Contemporary Architecture) is pleased to announce the European debut of the retrospective exhibition celebrating the 50th anniversary of Richard Meier’s practice. The new exhibition will be a retrospective of the American architect’s iconic work and the unveiling of a site-specific installation for the Foundation’s permanent collection. City Green Court is the third of a cluster of buildings designed by this architects practice and it completes the corner of the Radio Plaza superblock located in the Pankrac area of Prague. The building is conceived of as a geometric volume inspired by Czech Cubism, with a façade that includes forms reminiscent of this avant-garde movement. In recognition of his contributions to architecture and in collaboration with very distinguished institutions, Richard Meier & Partners will be organizing several projects and events to honor this very significant anniversary. On display at the Arp Museum Richard Meier: Building as Art is open to the public, and the exhibition illustrates Meier’s complex design process using prominent buildings and projects from his entire work history. The architecture practice unveils the first completed project in Turkey’s Bodrum Peninsula. While the plan of each prototype remains fixed regardless of its location on the site, the organization of the podiums varies depending on the siting of the individual parcels. All houses will be sited to maximize views and to establish an entry sequence that further exploits the views regardless of the siting of the individual parcels. Illustrious modernist Richard Meier and multi-disciplinary creator Massimo Vignelli reflect on their respective crafts, city life, and enduring friendship in this mesmeric film by Johnnie Shand Kydd. Shot at the minimalist offices of Richard Meier & Partners on 10th Avenue and West 36th Street, the two powerhouses discuss their collaboration on the firm’s forthcoming monograph, Richard Meier, Architect Volume 6, chronicling the stark, white, rationalist buildings that define the firm’s aesthetic. The Pritzker Prize laureate’s most notable projects include the Getty Center in L.A., the Barcelona Museum of Contemporary Art, and more recently, the two glass-and-steel towers on Perry Street in New York’s West Village that Martha Stewart, Ian Schrager, Calvin Klein, and Nicole Kidman have all called home. Vignelli, too, has left a significant mark on Manhattan, having famously designed the New York subway map and signage, in addition to working on everything from packaging and furniture design to corporate identities for clients like BMW, Barney’s, Xerox and American Airlines. “Architects need to have a certain arrogance, a sense of self-belief,” posits Shand Kydd. “A designer, however, has to be more collaborative. Consequently, Meier and Vignelli have very different natures, but like all very talented people, they both look forward and not back.” Here Meier nonetheless looks to his present city, and beyond, to reveal his select few architectural necessities. New York, June 5, 2012 – Richard Meier & Partners is pleased to announce the first retrospective exhibition in Mexico City. The Museo de Arte Carrillo Gil presents a retrospective exhibition of some of the most emblematic works of renowned architect Richard Meier. The works on display included in the exhibition make it possible to view his design philosophy as a whole and in depth for the first time in Mexico City. The retrospective includes a selection of models, original sketches, renderings and photographs. Some of the iconic projects exhibited on the show include the Smith House, The Getty Center, The Neugebauer Residence and the Jubilee Church. Other projects on view in the retrospective are well-known architectural projects such as the Perry Street Towers, the High Museum of Art, the Ara Pacis Museum, and the recently completed Arp Museum in Germany. In addition, some of the current projects in Mexico are displayed along the unbuilt competition proposals for the World Trade Center Memorial, the New York Avery Fisher Hall, and the Bibliothèque Nationale de France. The opening lecture with Associate Partner Bernhard Karpf will be on Tuesday, June 5th, and the exhibition will be on display from June 5, 2012 to August 26, 2012. Richard Meier Retrospective is organized by The Museo de Arte Contemporáneo de Monterrey, Richard Meier & Partners Architects and the Instituto Nacional de Bellas Artes (INBA). Richard Meier & Partners is proud to announce their first project in South America. The new offices will be a sustainable and state-of-the-art building. The new building will form the new international headquarters for VINCI Partners in Brazil. This project will be a mixed-use development that includes school buildings, daycare center, rental apartments and retail space. The third project designed by Richard Meier & Partners Architects in Mexico. The new Mitikah Office Tower will be a state-of-the-art building in the Delegacion Benito Juarez in Mexico City. 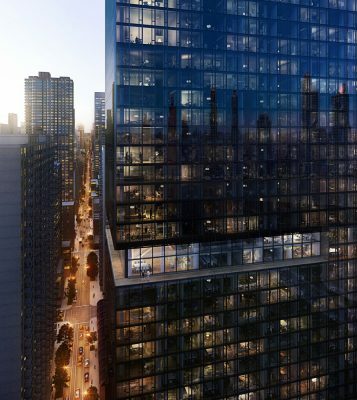 This skyscraper building will be part of a mixed use master plan designed by Pelli Clarke Pelli Architects and developed by IDEURBAN/IDCity from Mexico. New York, October 10, 2011 – Richard Meier & Partners is pleased to announce the opening of Richard Meier Retrospective starting Thursday, October 20th, 2011. 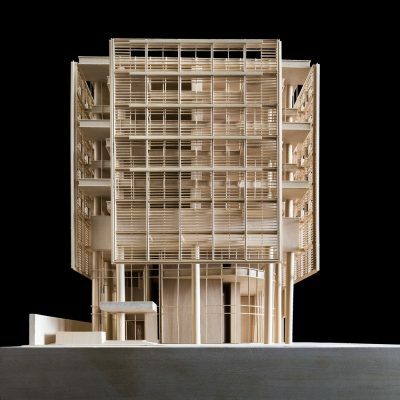 The Museo de Arte Contemporáneo de Monterrey (MARCO) presents a retrospective exhibition of some of the most emblematic works of renowned architect Richard Meier. The works on display included in the exhibition make it possible to view his design philosophy as a whole and in depth for the first time, with examples of nearly every type of work. New York, October 4, 2011 – Richard Meier will be granted the 2011 President’s Award in honor of his significant influence on New York City. The President’s Award is given by the AIA New York Chapter to an architect whose work has made an important impact on New York City. Past recipients include Philip Johnson, I.M. Pei, and Henry Cobb. 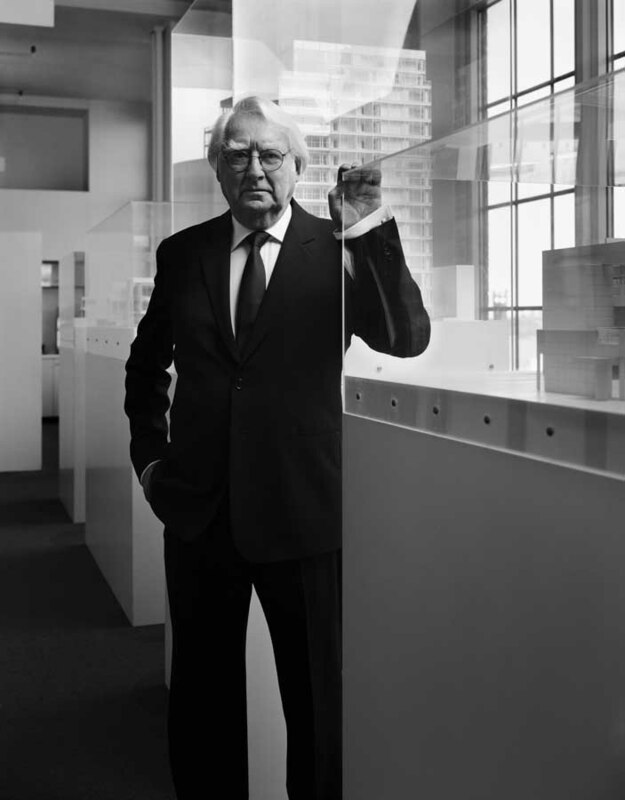 Richard Meier will be distinguished with three other honorees who have demonstrated a commitment to the importance of design in New York City and beyond. Gary Barnett, President of Extell Development Company will receive the AIA New York Chapter Award; Leslie Koch, President of The Trust for Governors Island will be granted the Center for Architecture Foundation Award, and Janette Sadik-Khan, Commissioner of New York City Department of Transportation will be honored with the Center for Architecture Award. The award reception will be at the Heritage Ball in New York City at the Chelsea Piers. New York, August 30, 2011 – Richard Meier & Partners Architects has been awarded the American Architecture Award 2011 for Coffee Plaza in Hamburg, Germany. Richard is adept at creating sculptural white buildings that pay homage to Le Corbusier but move the Modernist language forward. 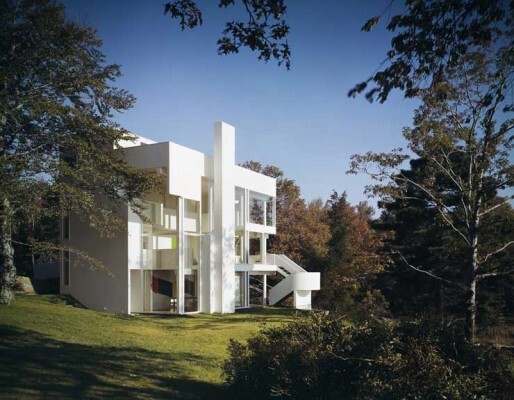 Richard started out with a large, beautiful houses in the US – such as the Smith House in 1966 – but soon was producing well-respected buildings across the world. I visited his Frankfurt building – Kunsthandwerk Museum – whilst at University and it was a key piece of Modern architecture within our studies: the clash of grids was fresh and attractive and the sophisticated handling of disjuncture of form left other equally famous architects in the shade. 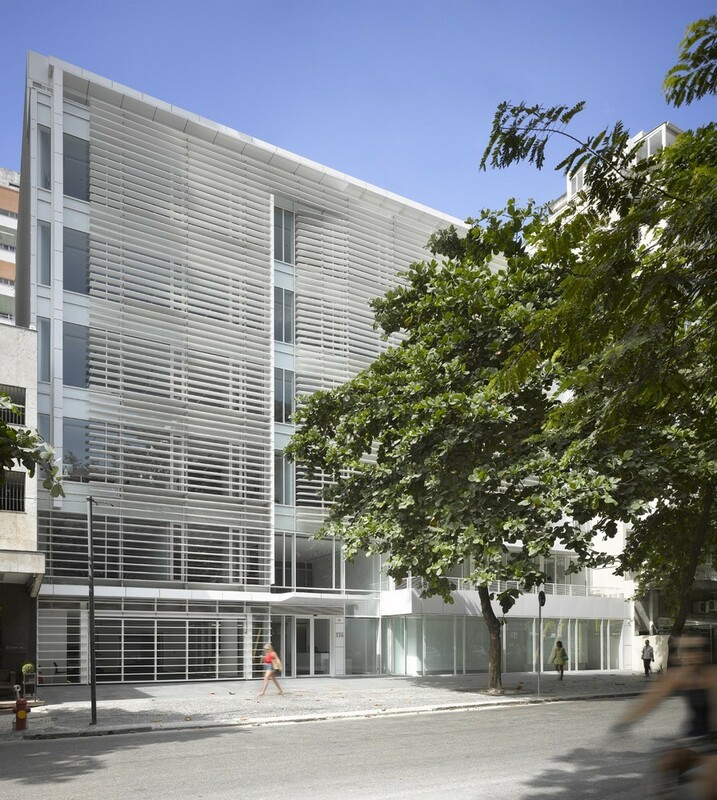 A large Richard Meier building located in a dense inner city area, an archiecture of light and pure form. The Museum of Decorative Arts in Frankfurt, one of Richard’s seminal buildings, as he perfected his use of disjuncture in a non-domestic setting, and out of his own country, the result was widely reported and much-visited. Not a building but a masterplan for what could be termed a business park, but Edinburgh Park is more a landscape with offices than a traditional edge-of-town business zone. 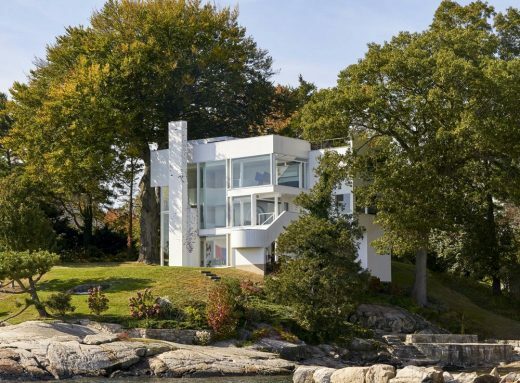 This development was masterplanned by Richard Meier Architects (with local assistance by Campbell & Arnott). Meier was born in 1934. 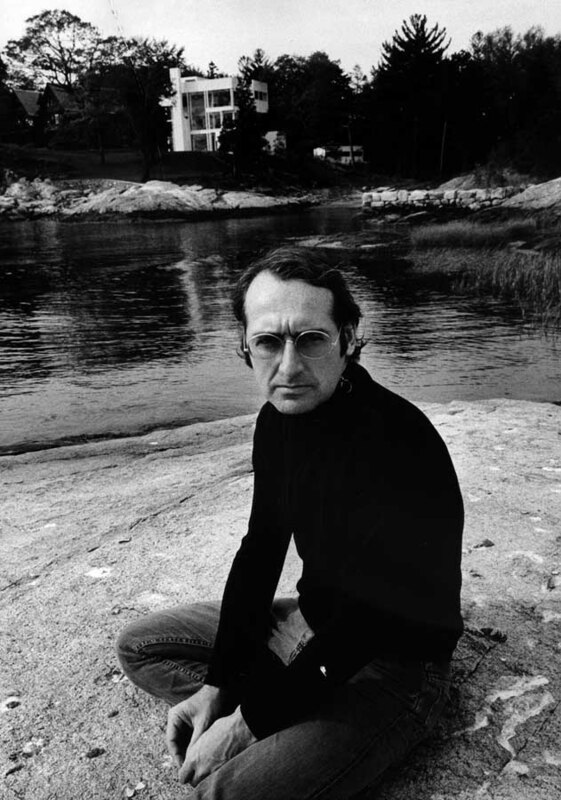 He graduated from Cornell University in 1957 and after working for SOM and then Marcel Breuer he set up his architecture practice in 1963.